← In Memory of Harry Blackstone Jr.
A birdcage disappears from the hands of The Great Blackstone without a trace. An illuminated light bulb defies gravity without any visible means of support. Facial hair effortlessly falls from the deadly blades of a Gillette razor. Yes, you read that right. 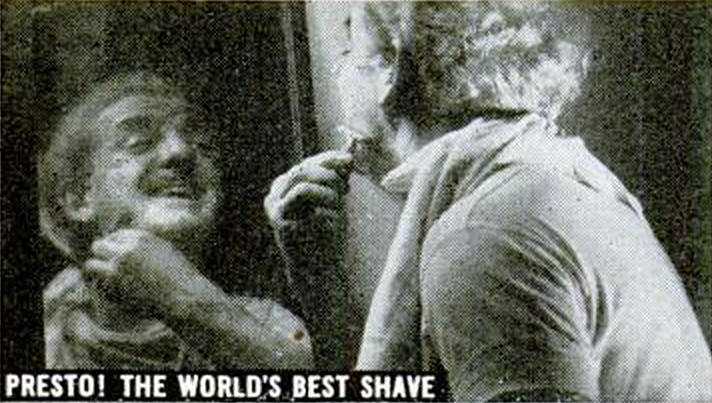 In addition to performing his legendary trademark illusions, Harry Blackstone Sr. practiced a commercial sort of whiskerdry…er…wizardry: He endorsed Gillette razors, blades, and shaving cream! If you haven’t seen some of these ads from the mid 1930s, check ‘em out.